The broadcaster behind channels such as Dave and Gold as credited an increased investment in original shows for boosting ratings. UKTV has reported a five-fold increase in the number of original productions over the past five years continuing to move its networks away from being sole repeat channels. Leading the commissioning drive was Dave. The channel's critically acclaimed UKTV Originals brought in younger audiences, taking eight of the top 10 slots in the channel's ratings list for 2017 and bringing millions of users into TV on demand service UKTV Play. 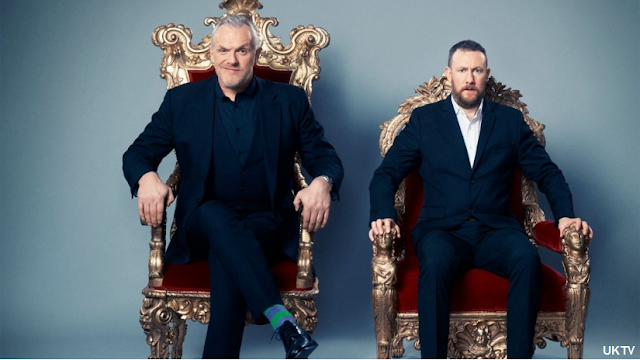 Top rated shows in 2017 for Dave included Red Dwarf XII (2.04m) and International Emmy nominee, Taskmaster (pictured above, 1.4m viewers). Other top 10 shows for Dave included Dave Gorman: Modern Life is Goodish, Dara O'Briain's Go 8 Bit, Live Hayemaker Ringstar Fight Night, Zapped and Red Bull Soapbox. Dave's original productions also boosted on-demand service UKTV Play, which saw an 75% year on year increase in views. October saw UKTV Play's best month ever, driven by Taskmaster and Red Dwarf XII, contributing to 21% and 10% of the month's views respectively. Across UKTV's family of channels, comedy channel Gold grew by 2% share, its success driven by original comedy Murder on The Blackpool Express, now watched by over 1.8 million viewers as well as The Story of Only Fools and Horses and David Jason: My Life on Screen. In September, UKTV Original Henry IX won a prestigious Rose D'Or award for Best Sitcom. Following a brand refresh in 2017, Really enjoyed an 11% growth year on year for the channel. Drama ,which shows mainly BBC content, also continued to gain viewers: Peaking with a daily share of 1.93%, the channel exceeded half a million viewers on 45 occasions with popular BBC shows Inspector George Gently, New Tricks and Father Brown bringing in big audiences. Death in Paradise consistently proves popular with one episode drawing 670k. On pay TV channel W, Inside the Ambulance, peaked at 276,000 viewers, which has more than doubled the slot average and series on series, has grown by 26%. However, the broadcaster's latest performance report remained quiet about channels such as Yesterday, Alibi, Eden and Home, with the latter having recently started to show special drama weekends, replacing its normal fare of DIY, lifestyle, property and cooking shows with back-to-back episodes of popular drama series. "We're creating our own IP through UKTV Originals at a greater scale than ever before, and that's allowed us to drive on demand viewing to new highs, as well as bringing new audiences to linear television. Our new and exclusive shows are driving audiences to our fastest-growing brand, UKTV Play. That ensures we can offer advertisers data-driven targeted advertising on demand, as well as advertising to mass broadcast audiences through our large, established, linear broadcast channels."